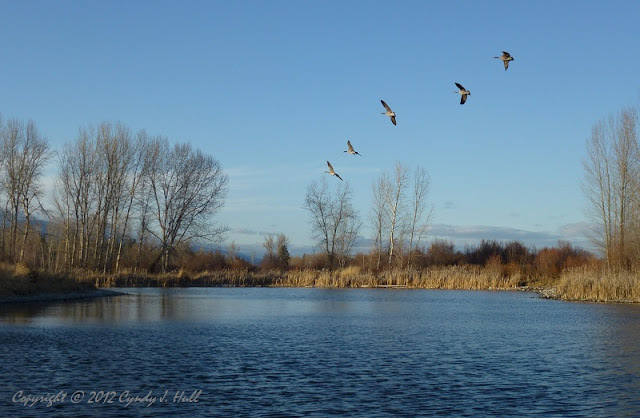 This is classic Montana outdoors - Canadian geese coming in overhead for a landing. I was absorbed,listening & watching, then suddenly realized - hello! perfect photo opportunity! Even sweeter, to my sensibilities, is that my only edit was a small crop.